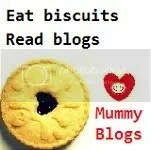 Saturday is Caption Day at Mammasaurus’ blog. So… can you think of one for this? I’d love to see what you come up with, leave your captions in the comments.